As a real estate agent, you know what it means to advertise on a slim budget. You’re out there networking, generating referrals and guerrilla marketing to stretch that budget further. You hustle to generate more real estate leads. But have you added real estate Facebook ads into the mix? Real estate Facebook ads are a cost-effective and fast way to get more clients. But in order to get results, you need to know how to get the most out of your social media ad budget. Let’s explore 8 proven techniques you can start using today to generate more clients. When you’re setting up real estate Facebook ads, those ads can display on Facebook, Instagram and Facebook’s partner websites. 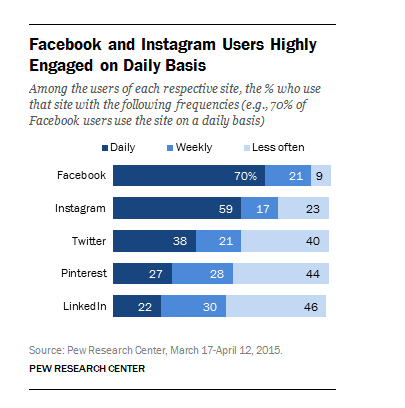 Facebook and Instagram are leading the way in terms of daily active users. 70% of people log into Facebook every day. And Instagram has quickly overtaken other social media leaders like Twitter and Pinterest. It’s found its place as the #2 social media site for daily engagement. But why specifically for real estate? People fall in love with a specific home. Or they become enamored with the idea of home buying when they see great homes, happy families, pets running the yard, etc. Facebook and Instagram are the places for inspiring visuals. You know this. It’s a big decision. People want to work with someone they like and trust. Facebook gives you a platform to demonstrate that you’re a great person to work with. And it helps you demonstrate that others recognize this quality in you. In real estate, if you’re not targeting locally, you’re losing money. The Facebook Ad Manager allows a real estate professional to target people not only in a certain city or suburb. Target people in certain neighborhoods where home values just went up and people want to sell. Target potential clients in over-populated areas where people are moving out of to have more space. You know a lot about who your ideal client is. You may enjoy working with new families. You might like helping a couple find a home where they can retire. With real estate Facebook ads, take what you know about your perfect client. Build an ad around it. And through Facebook ad analytics, see exactly how they respond to it. Continue to improve your ads and generate more real estate clients. Now on to our 8 tips. You wouldn’t turn down a client who was serious about buying or selling. But when advertising or marketing, it’s essential that you target one type of person at a time. That’s the only way to connect on a deep level to earn a click on your ad. Are they currently renting? Or do they have a house and need to upsize/downsize? How are the markets changing? For example, 66% of first time home buyers are millennials according to the NAR. The best target on Facebook is a narrow one. You don’t want 1 million random people to see your ad. You want 500-1,000 of the most perfect clients to see it. They click it. They become a client. Really take some time to think about who these people are. Do they love going to the gym? Are they into theater? If someone were moving from Los Angeles to Atlanta, you’d certainly want to help them find the perfect home. But really, how often does this happen? People do re-locate for business, retirement and other reasons. But it’s much more common that people are buying a home within a given city or even in a general area. Be careful when targeting. Exclude people who are unlikely to be clients. That includes people in other cities. That is unless your city is experiencing a major migration from a specific location. Why would you exclude so many people? What’s it hurt if someone sees the ad and isn’t interested? The answer to that we’ll discuss a bit later. But for now know that on social media, relevance matters a lot. Not being relevant will cost you a lot of money. 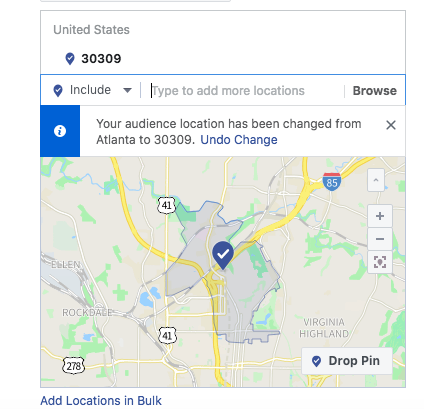 Use Facebook’s geo-targeting tool to target a whole city. Or target a zip code. If you do want to target people moving into the area, consider these options below. We’ve now figured out who to target. It’s time to build an ad around that target. People only click ads that appear very relevant to them. Look back at who you’re targeting. Make a list of their challenges and goals. Consider which emotions you can tap into with that audience. The language and images you might use for millennials who are buying their first home will be different from what you might say to someone approaching retirement. And these will be different from someone who has a growing family. Who would you say this ad is targeted toward? How about this one advertising condos in Malibu for $700,000 or more. You probably wouldn’t want to target lower income families for this one. Don’t forget! You can use video too depending on the types of ads you use. Just this year, Harvard Business School researchers completed a very interesting Facebook ad study with a group of university student participants. They split the participants into two groups. They knew they were in a study. But they weren’t told exactly what was being studied, or how. They showed the control group a normal ad for discount program Groupon. They showed the other group a Groupon ad that hinted at how sophisticated they were, without outright saying it. The “You’re so sophisticated” ad earned significantly more clicks. After interviewing the students post study, the researchers concluded something very interesting. Most students knew that the ads they see in Facebook are targeted toward them. Those who clicked thought they were seeing the ad because they had done something that showed they had sophisticated taste. They saw it as a personal compliment and clicked the ad. You don’t have to say it in words. The right image can send these messages. Show that you share their values. You respect these qualities in your clients. Find a nice way to demonstrate it and earn a client through real estate Facebook ads. We’ve already established that real estate is very visual. The highest performing ads convey a message through the image. Remember. You have about 2 seconds to get someone’s attention, maybe less. Then they scroll on by. 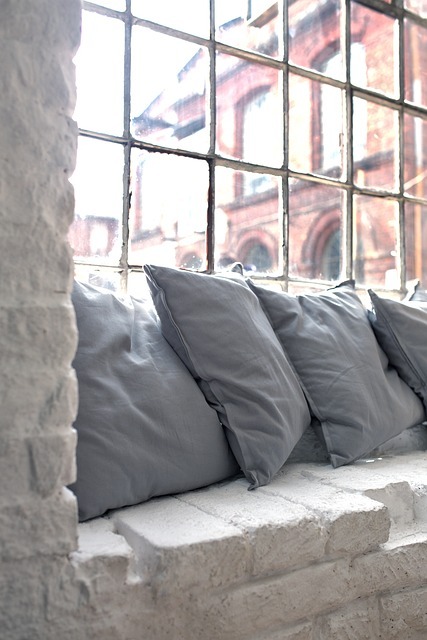 Captivating visuals make a target client stop and look a little closer. Visuals can take many forms. Consider what would delight your target. For targets looking for a loft in the city, something like this is very inviting. 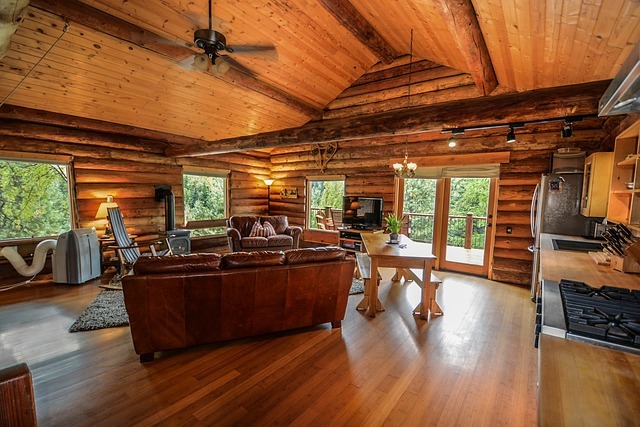 If your target may be more interested in rustic, images like this get attention. 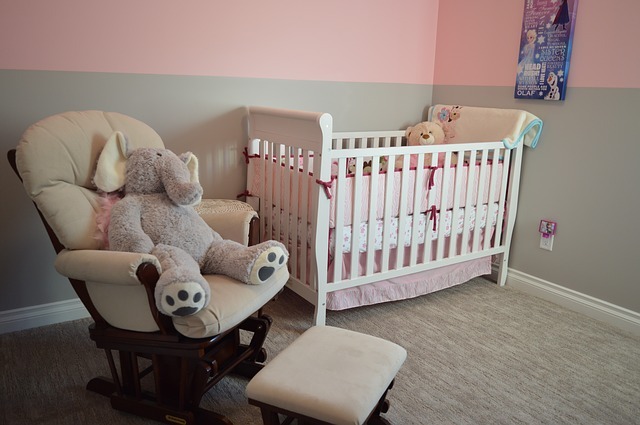 Or for new parents looking for a larger space. Whatever the visual, make sure it aligns well with the audience and the message. Copywriting isn’t like writing a 20th century novel. Long sentences, hard to pronounce words, and abstract concepts generally don’t make good copy. That’s especially true in real estate Facebook ads. When writing Facebook ads for real estate, your top priority is to quickly, clearly convey a message. A 4th grader should be able to read it. They should be able to immediately understand it. What are you offering? How will it help them? What do you want them to do next? That sums it up. It’s tempting to use all of the space available in some Facebook ads that allow for more text. But less is always when it comes to copy. Don’t try to explain anything. Write copy that elicits an immediate response. Note the simplicity of this ad from Keller Williams Realty. Lead with value rather than describing services or promoting yourself. Now, that’s something of immediate value to someone considering selling their home. In a seller’s market, in particular, it’s very clickable. This ad is very clearly targeting a specific kind of home buyer. Food garden. Walking distance to downtown. Car-free lifestyle. If we look back at the Keller Williams ad, we find a very compelling CTA. It says, simply enter your address and click. Nothing complicated about that. Your best real estate Facebook ads have a clear goal. A person should almost instantly know exactly what you want them to do. It should be very easy to do so. There should never be any confusion like having more than one CTA. And don’t make it longer than it has to be. Unbounce, a marketing research firm, found that 90% of people who read your ad headline also read your CTA. Hubspot, a marketing software company, found that a CTA that seems personalized earns 42% more clicks. Personalized doesn’t necessarily mean you’re calling someone by name. If a CTA appears to speak directly to a person’s needs, values, etc, that’s personal — at least as personal as we can get on Facebook. So remember who your target is and build your CTA for that person in real estate Facebook ads. Reducing any clutter that detracts from the CTA can increase clicks by 234%. What is a landing page? It’s the page that a person lands on when they click your ad. It’s most often on your own website. It’s not your about page, services page, listing pages or a home page. A landing page is a specific page created for the specific purpose of converting prospects who click real estate Facebook ads into clients. We do this by offering them something of value in exchange for an email and/or other content info. Offering an estimate of their home value. You can do this manually or sign up for a service. To do this it needs to be conversion rate optimized. That means there’s nothing that detracts from its purpose. 52% of companies who use landing pages test their landing pages to see what works best. That means they create two similar landing pages. They make a small but potentially impactful change to one. This could be putting a CTA button higher on the page. Or maybe changing the color of the page. It costs you money when people click and don’t convert. Testing helps you get the most out of your real estate Facebook ads budget. 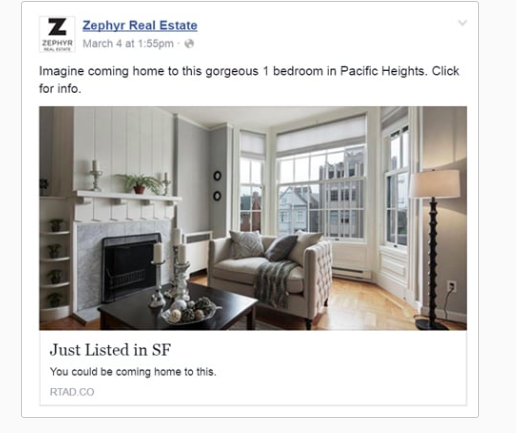 Let’s look at some landing page best practices for real estate Facebook ads. Be ad-aligned. Some ads may share a landing page. But any misalignment between the ad and the landing it leads to will reduce conversions. Have a clear strategy to convert the person to a client. What action should they take on the landing page? Be specific and intentional. Use colors to evoke emotion. Data shows that orange and red buttons earn more clicks. But you probably wouldn’t make a whole page red. That may be hard to look at and annoying. Are you trying to convey a spa-like feeling on the landing page? Cool blues and greens may work well. Consider how the colors you’re using make a person feel. Make sure the page is user and mobile friendly. Over half of clicks will now come from a mobile device. If your page isn’t optimized for mobile, you’re throwing half of your money that you spent on Facebook ads for real estate away. Focus on value. The landing page isn’t the time to switch over to talking about you. Think about what they want and how you can uniquely deliver it. The image on the page should be linked to the same place your CTA is linked. Many people are so in awe of the image that they click it instead. Keep it simple. A typical landing page has a stunning image, a headline, a subhead and a short paragraph. then you have the CTA. But what about a menu? Remove the menu. 85% of landing pages include a menu. But studies show that they reduce your chances of converting someone to a client. People start clicking around. They get distracted. Only show a menu after they share their contact info in your lead generation form. You might add the menu to the thank you page, for example. A video on the landing page can increase your chances of capturing that lead by 86%. It never pays to re-create the wheel. There are things that work. 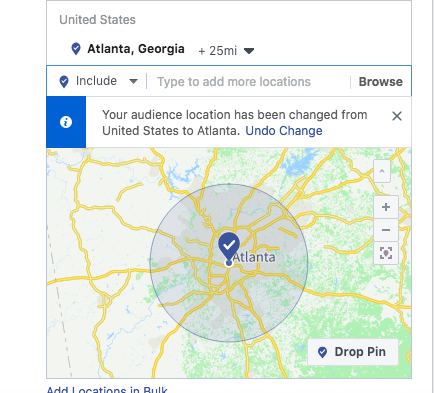 There are real estate Facebook ads that are effective in your area. Visit competitor sites. See what their Facebook pages look like. If you see a real estate ad from a competitor, don’t smirk in disgust and scroll by. Study it. See what kind of engagement it’s receiving. Even click it to see what their landing page looks like. Here’s another effective ad from a Keller Williams agent in Atlanta. Note how she connects to a specific need of a specific type of home buyer. We don’t have to tell you which broad demographic is most often looking for single story homes. You could be a natural at targeting the right audience with the right Facebook ads for real estate. But testing will always make it better. If you can get more new high value clients for less time and money, shouldn’t you? Facebook has set up a system that encourages testing. You can run 2 different ads with two smaller budgets. See which one resonates more effectively with your audience. When measuring performance, track these important metrics for Facebook ads for real estate. Impressions – This is the number of people who had your ad appear on their screen. This doesn’t mean they saw it. They could have scrolled past quickly or completely ignored it. As you do testing, you’ll have more people actually seeing your ad. Clicks – How many times did someone click on your ad. Each time they click, you pay for a click. You want people to click. But you also care about the quality of clicks. That’s where these others come in. (CPC) – Your cost per click is your ad cost divided by the number of clicks. Ideally, you want to keep your CPC low while getting the best results you can for that money. If one of your ads is delivering a lower CPC, that’s your winner. (CTR) – Your click through rate on real estate Facebook ads is the number of clicks divided by the number of impressions. Conversion rate – This is the number of leads your ad generated divided by the number of clicks. As you know, someone only becomes a solid lead once they’ve provided you with contact information through the landing page. (CPA) – Cost per action is something most marketing professional track as well. This is the total ad cost divided by the number of leads you generated. Why is this such an important measure? Because you’re going to always pay for some clicks that don’t become leads. This helps you understand the actual total cost of acquiring a real estate lead. 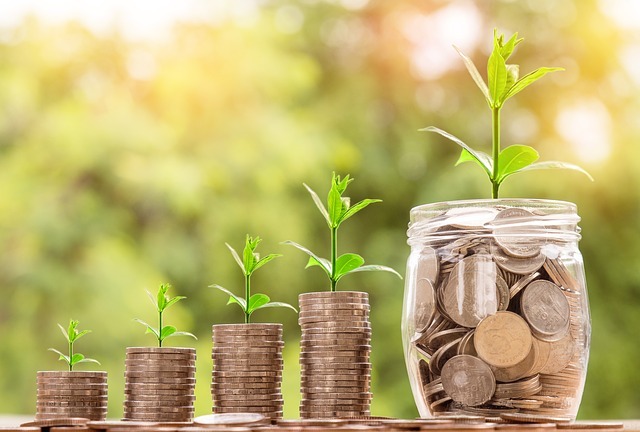 (ROAS) – Return on ad spend. It takes longer to track this. And you won’t find it on your Facebook analytics page. It’s the revenues generated divided by ad cost. Be sure to track which leads came in through Facebook ads. Then make note of your commissions off those leads. Track how much of your revenue is coming in through Facebook. Why do we care so much about ad relevance and targeting? 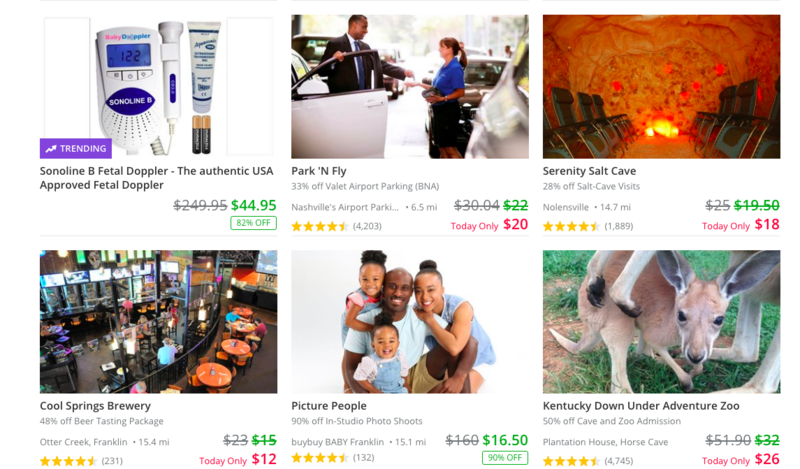 Why does poor ad relevance cost you money? Here’s what you need to know. People do accidentally click ads sometimes. They think it’s something else. Or their finger just lands on the ad by mistake. Showing the ad to people that are unlikely clients increases your loss to accidental clicks. Facebook rewards relevant ads. Facebook wants people to the most relevant ads possible. It all part of a great social media experience. They reward relevant ads with better placement and lower costs as a way to say thank you for trying to be relevant to the people you target. Relevance increases conversion rates. If your conversion rate is low, you’re losing money on real estate Facebook ads. So how do you keep this relevance up? Pay attention to what the numbers are telling you. The average click through rate for Facebook ads for real estate is 1%. If you’re much higher than this, the ad is very relevant. The average cost per click for real estate is under $2. Are you paying much more? Are you not seeing it go down? You may have a relevance issue. The average conversion rate for real estate is 10%. If your landing page is well aligned with your ad and audience, you should be doing this or better. If not, it’s time to work on improving relevance or consider hiring a social media advertising company to help you. With a 10% conversion rate, on average, you’ll have a cost per action of about $17. Remember? That’s your total ad cost divided by the number of people who become leads. Of course, you have to factor in time or money spent creating and testing ads. But even with your Facebook ad management costs, that’s a small price to pay when a $3,000 to $10,000 commission awaits you. If you’re paying a lot more to acquire a real estate lead, then your Facebook campaigns need some work. But after having read this, you have the tools you need to get your costs in line. 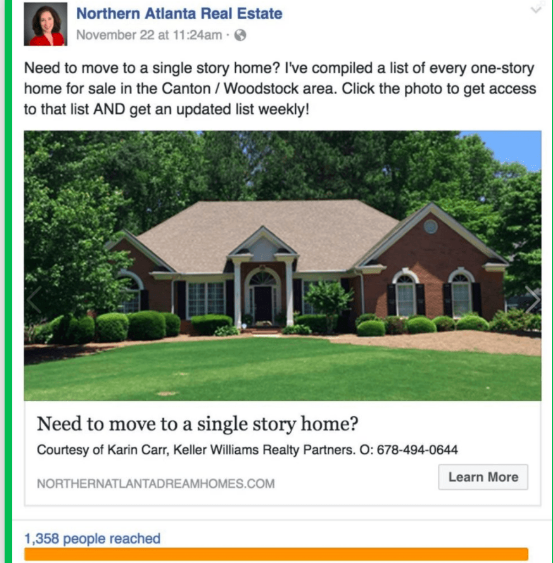 Creating real estate Facebook ads is the easy part. Optimizing them to get the most leads can be challenging. Follow these 8 tips and you’re well on your way. Target narrowly. Geo-locate. Create a great landing page for each type of ad. Test everything to continually improve. If you’re struggling to keep your ad costs low while generating viable leads, contact us today and we will help. Next Post How Can SEO Help Your Business Grow?